Kari Wehrs is a photographer and educator currently living in Tempe, AZ and attending Arizona State University for her MFA in photography. As a child, Kari spent hours flipping through her Grandmother’s family photo albums that dated from the late 1800s to the mid 1900s. The photographs were compiled neatly, often with handwritten notations, which suggested to her that they were precious objects. Wanting to see the details of each image, Kari often examined the photographs with her Grandmother’s magnifying glass. She found the idea that time could be recorded and “held” in photographs to be truly fascinating. Originally from Minnesota, Kari attended the University of Wisconsin – La Crosse for her undergraduate education, and soon after attended the Salt Institute for Documentary Studies in Portland, Maine, in the fall of 2007. Kari has been associated with the Maine Media Workshops + College in Rockport, Maine, since 2008, having taken on various positions such as photography labs manager and teaching assistant for the college program. She has been a Workshops instructor since 2012. Kari has a deep interest in the techniques, technology, and history of the photographic medium. 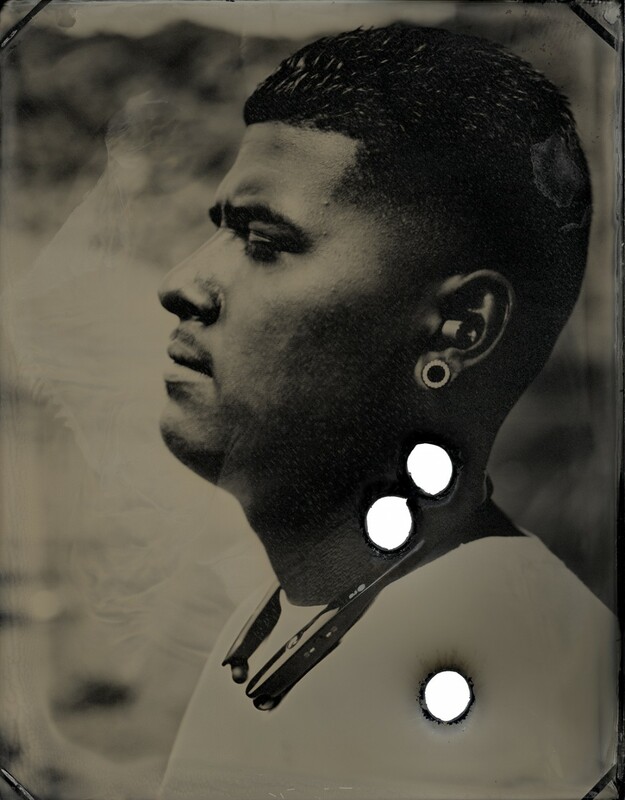 While embracing multiple methods in her own work, her most recent series is portraiture employing the 1850s wet plate collodion process (tintypes). 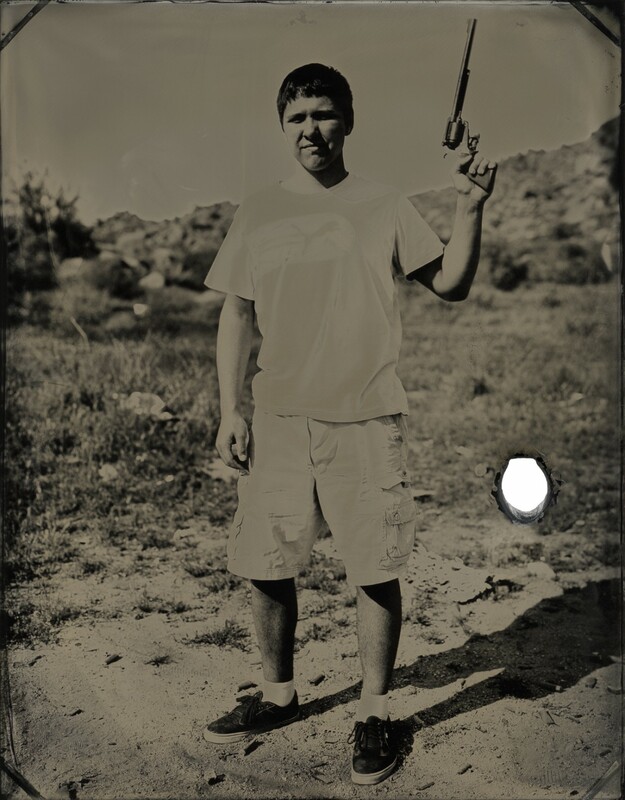 In an attempt to explore one aspect of gun culture, I set up my darkroom tent and tintype gear at known target shooting locations in the Arizona desert. 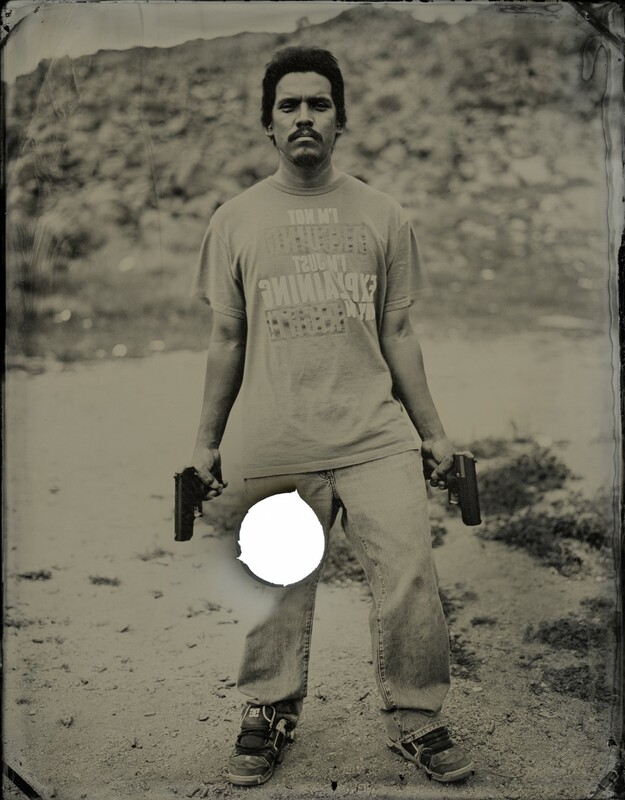 I create participants’ tintype portraits and then the subjects use the objects as a shooting target. 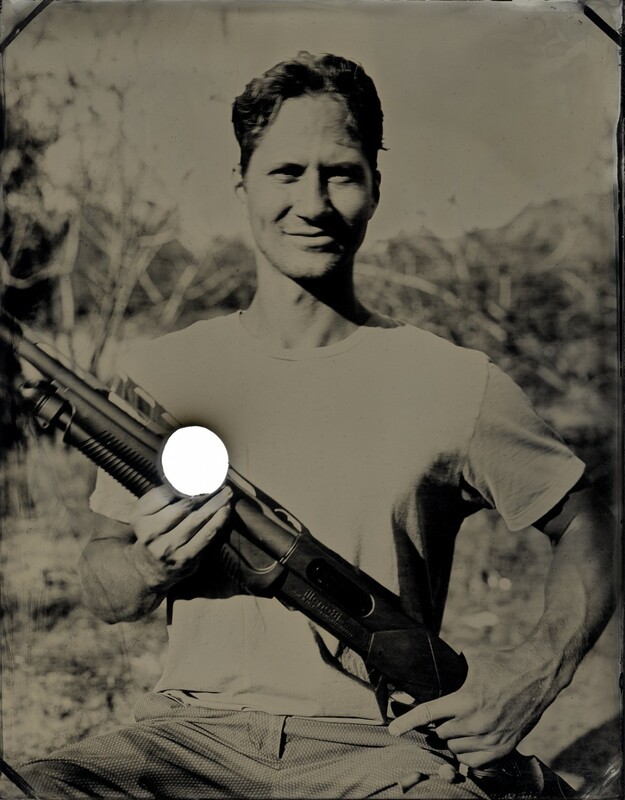 Tintypes were the primary form of photography during the American Civil War—a time when the country was divided by geography and beliefs. Soldiers often posed for their tintype in uniform and with weaponry. 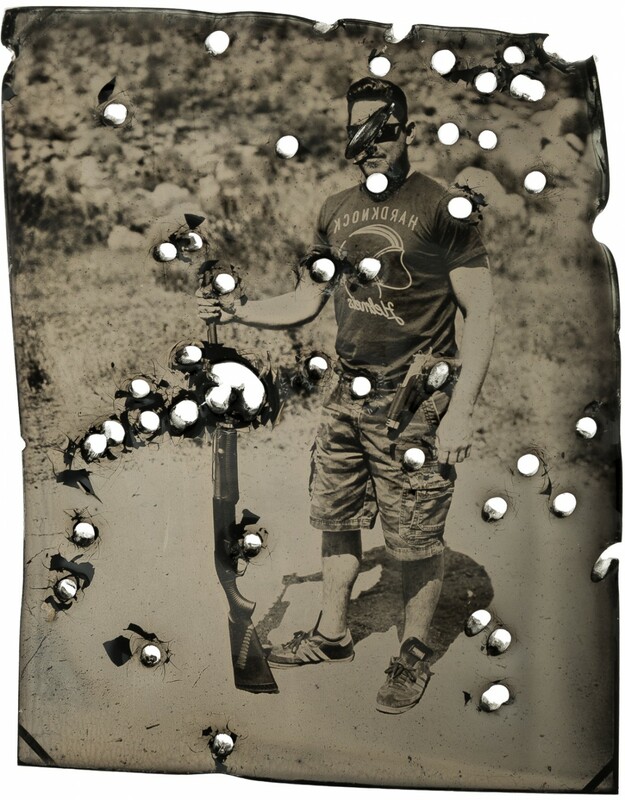 My use of this form of photography in contemporary time elaborates on these connections to history, particularly an America that currently exhibits a divide in the complex ideologies relating to gun culture (as well as many other subjects…). 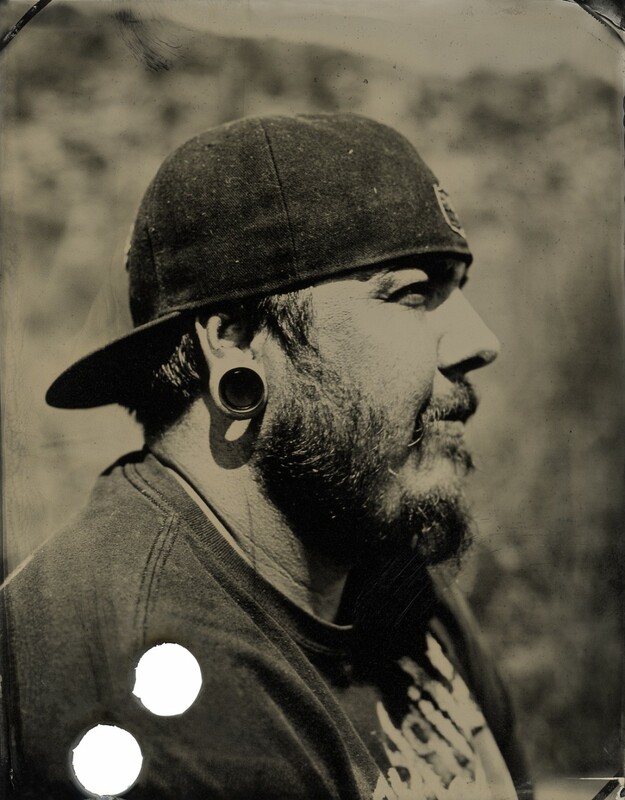 A–B: Hey Kari, I understand you are an avid wet collodion photographer. Can you briefly explain the process, and how it became the primary medium of your practice? KW: The collodion process dates back to the 1850s and is therefore chemical and labor intensive, but very intriguing and unique. 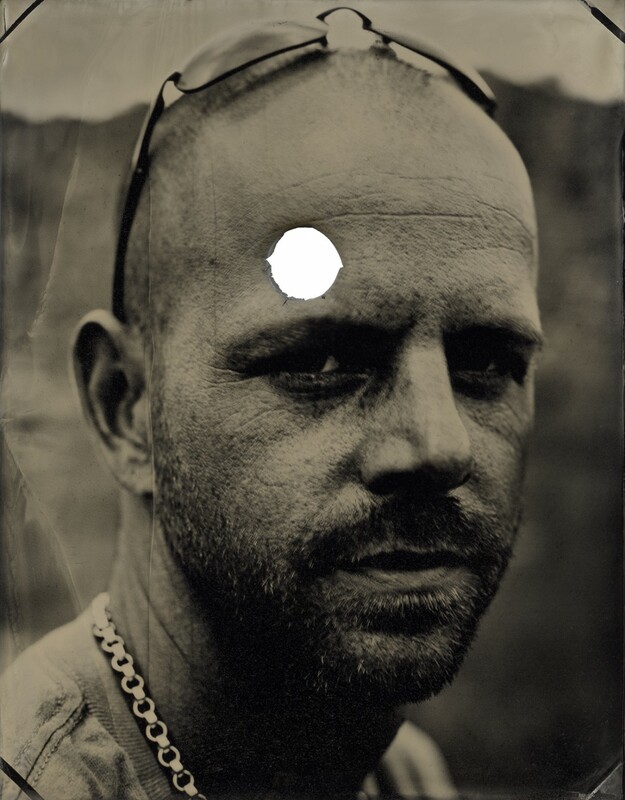 An aluminum plate is coated with a solution of salted collodion and then sensitized in a bath of liquid silver nitrate. That plate is then loaded into a carrier and taken to the pre-focused camera. An exposure (typically a number of seconds) is made, then the plate gets moved quickly to a darkroom. The plate is processed, rinsed, and placed in a fixer bath until clear. For the chemistry to work properly, the plate needs to be processed within approximately 5 minutes after leaving the liquid silver. Later the plate is varnished to protect the surface. In 2010/2011, I had the opportunity of being a teaching assistant in Maine working with Brenton Hamilton. 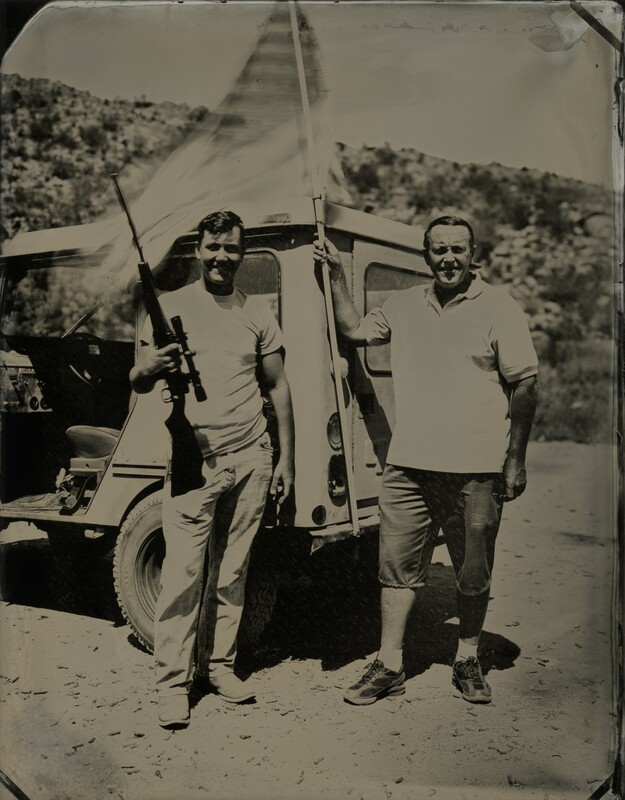 It was during that time that I fell in love with the collodion process and with learning a more intimate understanding of the history of photography. 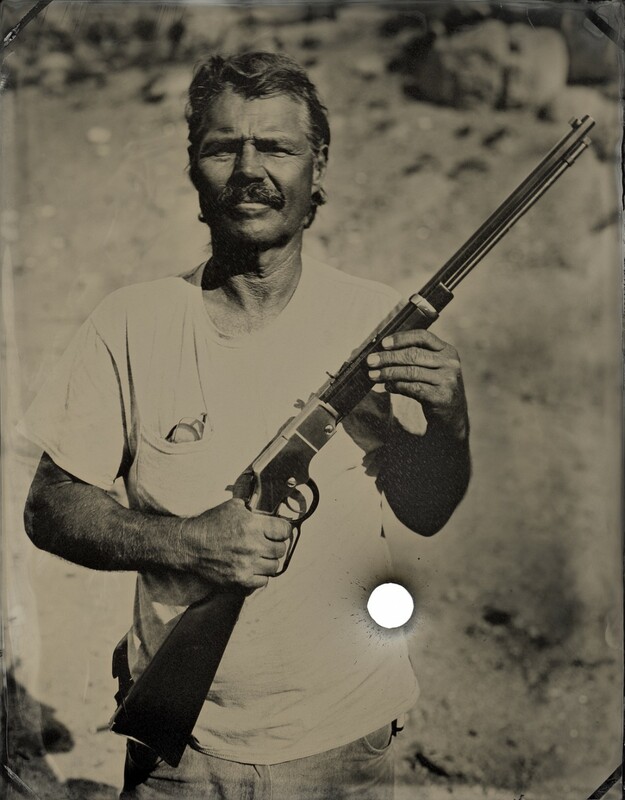 Initially I was attracted to the collodion process as a form of photography that simply was not digital. The more I worked the process, the more I enjoyed the pace (the slowness) and the handmade, one-of-a-kind object. My latest project, Shot, has allowed me to push the process to both a new conceptual and aesthetic place. A–B: What were your first perceptions of guns and gun culture as a child? How did your family and/or community influence your views? KW: I did not grow up around guns and have had very few interactions with them in my life thus far. When I was young, my father hunted so I asked him to take me out with him once. I don’t even recall him carrying the gun that day, or teaching me about it. All I remember about that day was the two of us sitting on a fallen tree and Dad telling me that I was talking too much. Ha! The gun was the last thing on my mind. 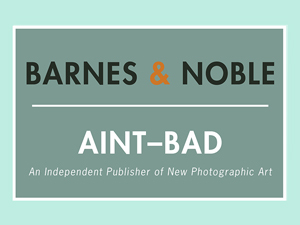 A–B: I know that you are making the project as an MFA student at Arizona State. How has being in Arizona influenced the project? Was there an incident or occurrence that spurred you to pursue your project, “Shot”? KW: A number of situations came up (not all national news type items) that had me thinking about gun culture and current social problems related to guns. For example, within the first couple of weeks after moving to AZ, I was driving to my studio in Phoenix and the giant electronic signs on the freeway said “I-10 shooter tip line” and listed a phone number. It was that strange uncomfortable feeling that stayed with me, simply knowing that Arizona is known for lax gun laws and somewhat of a “Wild West” mentality. 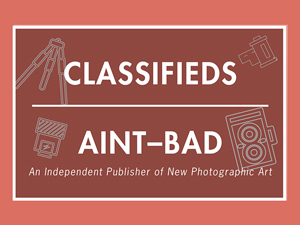 A–B: How do you explain this body of work to the people you photograph? KW: I introduce myself and let them know that I am curious about gun culture. That’s really it…conversations develop. I’ve been happy with the openness of many of the participants. A–B: How do you feel that this historic process better addresses the current climate of gun culture in our country? KW: I can’t say for certain that the process “better” addresses this topic than something else. I find interests in the threads between the historic and the contemporary, and elaborating on those threads may lead to a different discussion, or new thoughts or feelings. To see more of Kari’s work, please visit her website.